Google Labs has launched a service that let’s you make use of IM and your mobile to receive information like weather, sports score, currency conversion, translation and so on. 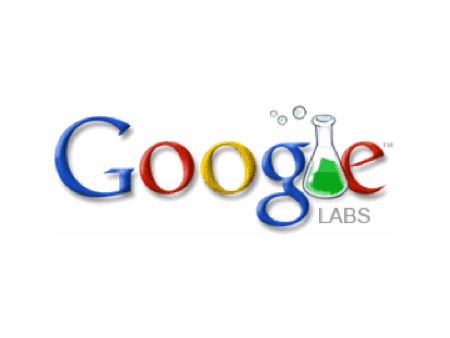 The service called “Google Guru” is still an experimental one. To make it work you have to add a contact “guru” in your Google Talk list. After it is added, you can send your queries formatted in a specific way to get quick information in reply. The service has no natural language processing so your queries must be in a specific format. 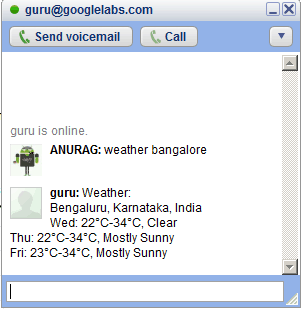 This is a quick use of “Google Guru” and an instant reply for weather information in Bangalore, India. The service seems useful only if you’re in front of your PC and are looking for a quick answer for a simple query like weather, sports info, translation or currency conversion and want to avoid some extra mouse clicks to open your web browser and do that search. Natural language translation is something which still would be desired functionality for “Google Guru”. Apart from using it through Google Talk on your smartphone, how will it be useful and easy for mobile users is still unknown to us. You can find out more about Google Guru here.